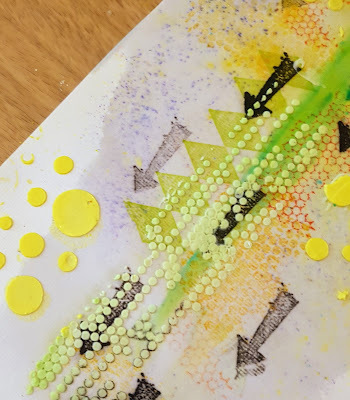 Today I am going to show you how to create bright and fun layouts with Sin City Stamps! 1) Start adding colour to the background using powdered inks. Apply water before sprinkling them over the page. 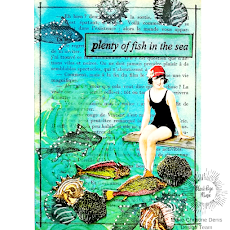 2) Use the Journaling and Hearty Doodles stamps to add a layer of texture to the background. 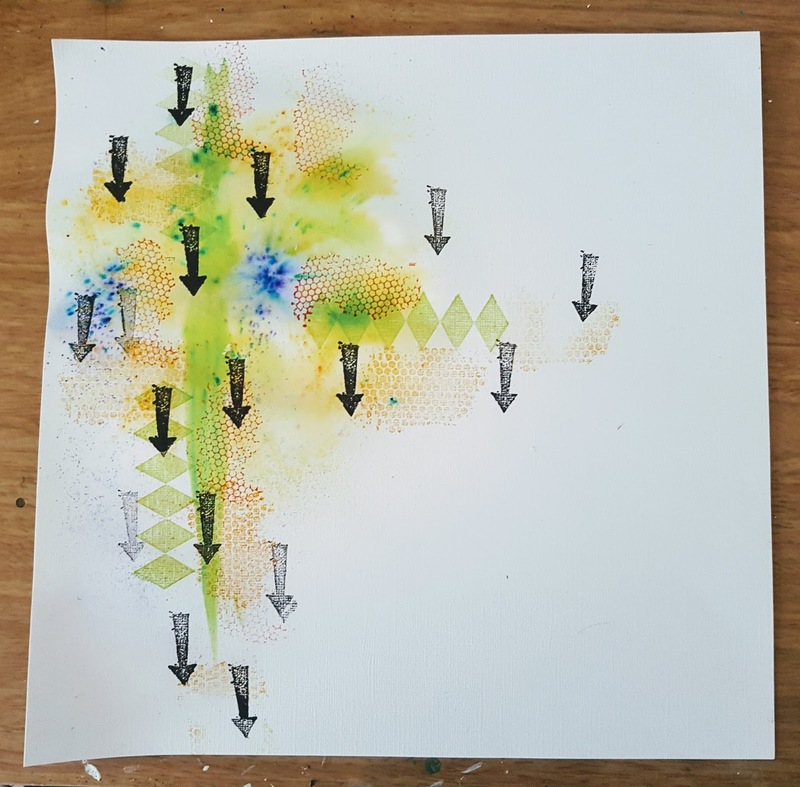 3) Mix some of the powdered ink with modeling paste and apply with a few stencils to the page. 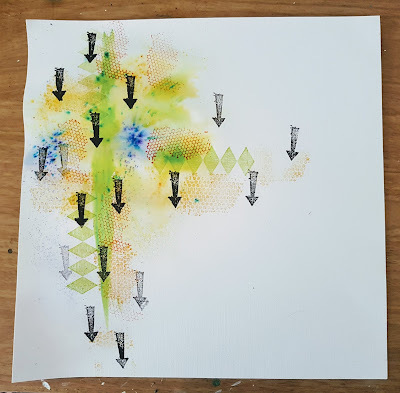 4) Stamp a few rows of arrows using the stamp from the journaling set. 6) Add a few strips of washi tape and trims. 7) Mount photo on to cardstock and trim to fit. 8) Apply a little more modeling paste over the layers. 9) Decorate page with embellishments. Thank you for visiting, don't forget to stop by our Fan Page for more idea's!